SALT LAKE CITY - Police say a student caught with a loaded gun Monday at his northern Utah high school planned to shoot a former girlfriend and open fire on the rest of the school. The Weber County Sheriff's Office says another student spotted the handgun at about noon at Fremont High School in Plain City and reported it to a school resource officer. The 16-year-old was arrested and booked into a juvenile detention center on suspicion of three misdemeanor weapons possession charges. Lt. Lane Findlay says the teen was angry after hearing rumors were going around about him. No shots were fired, although the school was evacuated for about four hours as authorities searched classrooms. The teen's name was withheld because he is a juvenile. 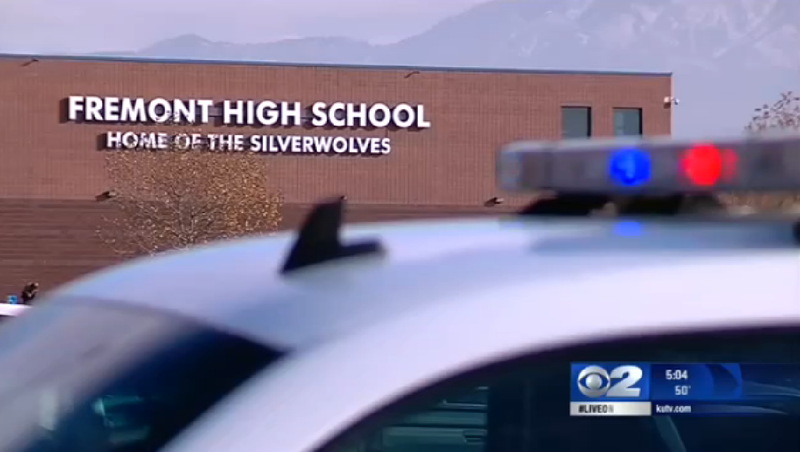 CBS affiliate KUTV reports the student who spotted the gun and reported it is being credited with preventing a potential tragedy. Plain City has a population of about 6,000 and is 45 miles north of Salt Lake City.